Omalon® keeps your carpets looking beautiful, longer. Carpet doesn't wear out, it "uglys out". The unique Omalon® patented densification process ensures long-term performance and resistance to fatigue. 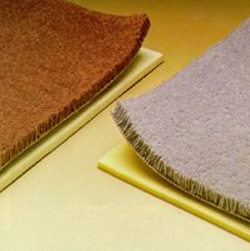 - Omalon® makes any carpet more luxurious. - Omalon® helps floors resist energy loss. - Omalon® helps minimize the transfer of sound from room to room.